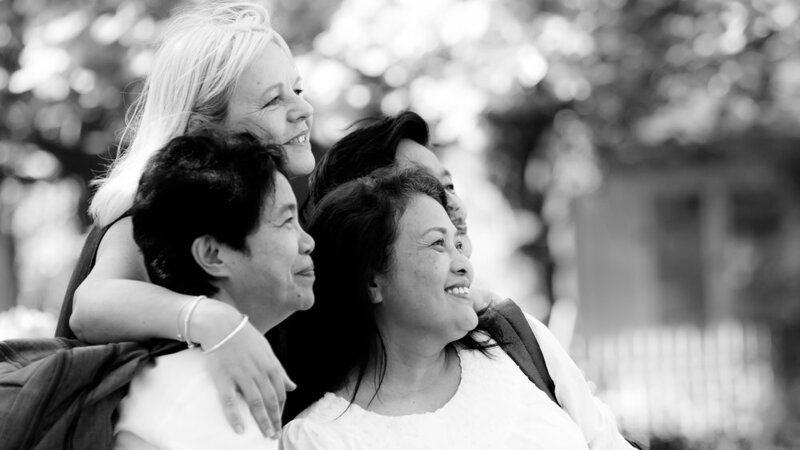 There are about 360,000 domestic helpers in Hong Kong. Many work long hours as ‘maids’ despite the fact they may have tertiary qualifications in areas like engineering, teaching, science, accountancy, etc. These workers have often made the ultimate sacrifice, leaving their children and families to earn higher wages in Hong Kong, to provide a better life for their loved ones back home. Jane's vision for the choir was to recognise and honour these women and give them the opportunity to "find their voice" by joining together to sing their story. The song “I Wish I Could Kiss You Goodnight” acknowledges these brave and generous women. It honours their ultimate sacrifice that so many of them make often putting other people’s children to bed instead of their own. 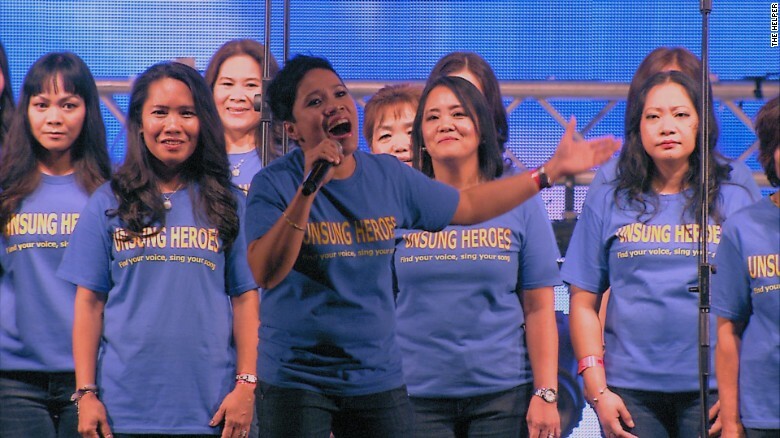 What Jane couldn’t have anticipated was the effect the Unsung Heroes and the song had on the Hong Kong community leading to widespread media interest and invitations to sing at different events. In 2017 the choir were featured in a full length documentary film ‘The Helper’ which highlights the stories of many domestic helpers in Hong Kong. It follows their journey from humble beginnings to the performance of a lifetime at Clockenflap and being invited on stage with music legend Nile Rodgers. Even with this increased attention, the Unsung Heroes remains true to their original purpose. Every Sunday choir practice continues, giving members the opportunity to come together and be uplifted through song. Jane is a creative and talented teacher, musician, pianist, composer, and performer. She has enjoyed and exciting and rewarding career in education and in the media & performing arts industry including working as a children's television presenter, a musical and choral director, head of performing and expressive arts, a voice over artist and has also worked in theatrical management and events coordination. Throughout her career, Jane has been involved in leading, directing and writing for a countless large scale productions, and her compositions and songs have been used in concerts, show, promotional, and educational videos, TV theme music and in films. Jane also run choirs, musical theatre and drama groups for adults and children and offers professional development training and workshops in public speaking, communication skills and the voice/singing.